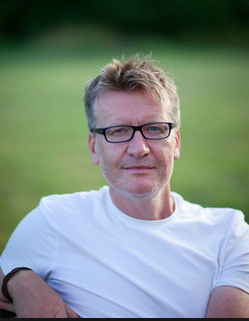 Today I am pleased to welcome Cameron McAllister, the author of the spine-chilling detective novel THE DEMON UNDERTAKER onto the blog. “The only thing we have to fear is fear itself…” Franklin D. Roosevelt. First of all, here’s a little secret. As well as writing books, I also write television scripts...sometimes scary ones. 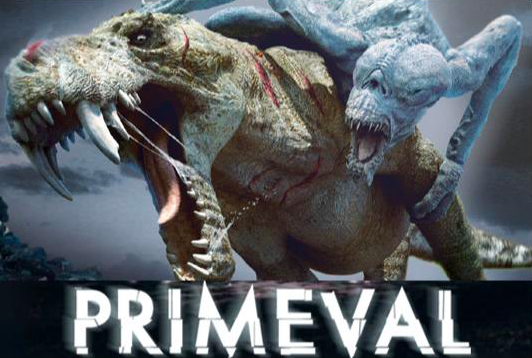 One of the shows I wrote for a few years ago was a series called Primeval about dinosaurs escaping from the past and terrorizing London. 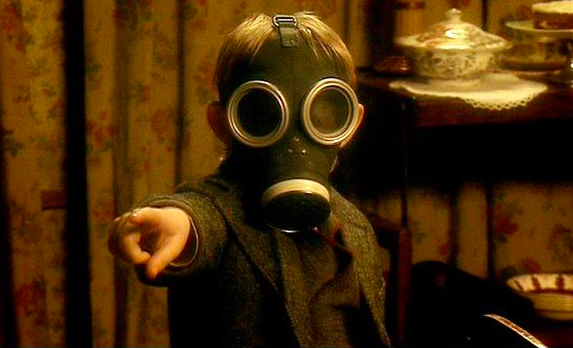 Hmm, not that terrifying you might think – unless perhaps you’re six. But you’d be surprised. Because what we quickly discovered was that the most frightening thing was not the monster – as FDR said, it was fear itself. When we realised that, the show suddenly got a lot scarier. Let me explain. When we first started writing the series, we had a lot of fun creating what we hoped were really terrifying CGI dinosaur monsters. Naturally, we were keen to show them off and scare the living daylights out of our audience. But a strange thing happened. To our disappointment, in test screenings the audience weren’t nearly as scared as we hoped. Then we tried an experiment. We didn’t show them the monster…at least we held off for as long as possible. The result? The children in the audience started cowering behind the sofa! This was the first time I realised something that seasoned horror writers have known for decades, maybe even centuries…that the scariest thing isn’t meeting the monster, it’s the anticipation of meeting it. In other words, the suspense of wondering when the creature or bogeyman will jump out on them. 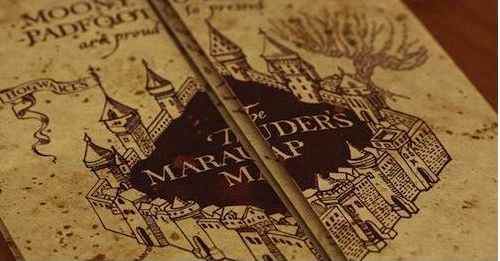 Take a simple thing like Harry Potter’s Marauder’s Map. 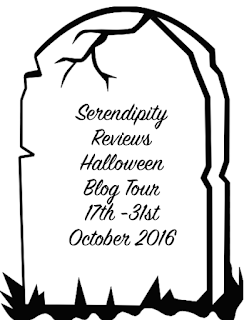 Seeing the mystery footsteps getting closer and closer to Harry as he peered down the pitch dark corridor was genuinely spine-tingling. The tension built and built as you waited for the terrifying creature to burst out…or not, as the case was. This is why The Silence of the Lambs is one of the scariest films I’ve seen. out. More nail-biting still is the moment when she corners the killer in his lair and he turns the lights out. 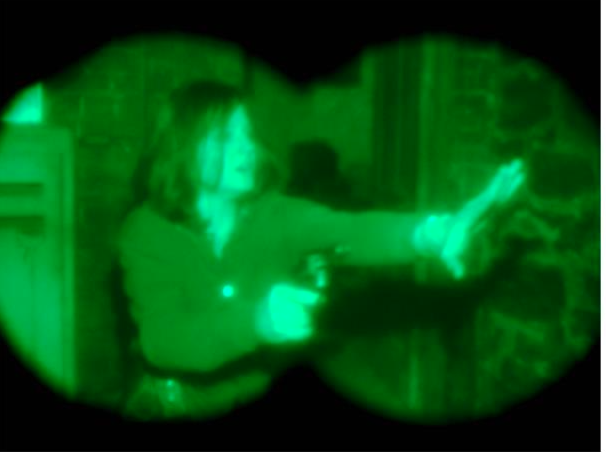 She gropes around blindly in the dark, all seen from the point of view of the killer through his night vision goggles. This is why we end up screaming at the screen to tell the character to “turn the bloody lights on!” Deep down, of course, we’re all terrified of the dark because we can’t see what’s lurking – and more to the point, when it’s going to jump out on us. Eventually the monster must jump out, but when it does, frankly it can be a bit of a let-down. This is usually when scary movies turn into action movies. But action is rarely that scary. Personally, the more movies resort to outlandish CGI, the less gripped I become. Truth is, action sequences, unless they’re brilliantly realised, can just be plain boring. All the tension that’s been so carefully built up evaporates on the spot. This explains why so many great scary movies take as long as they possibly can before they reveal what their monster looks like. Usually about an hour according to my watch. The film makers know that whatever they come up with can never compete with what we’re imagining in our heads! Take Jaws - a masterpiece in tension and story-telling. But when you see the shark bite…sorry, I nearly start laughing. 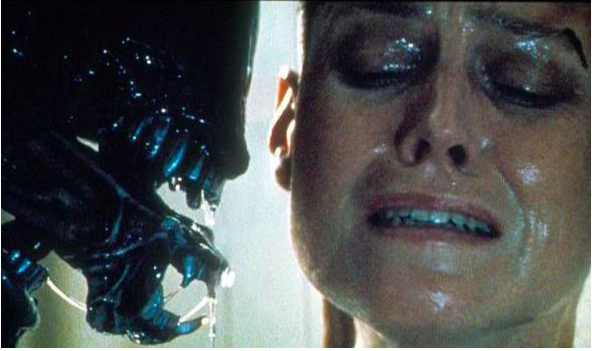 Alien, on the other hand, is a very different matter. Again, about an hour of tension as you wonder what the creature will look like and where it’s lurking. But when it does finally leap out…it doesn’t just have one set of jaws dripping with battery acid – it has another mini-me set inside! 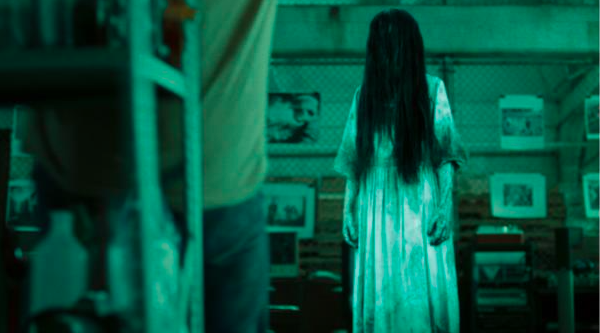 Two of my all-time scariest movies, The Grudge and The Ring, are remakes of Japanese ghost stories, and this is why I think they succeed so well – because they rely on good old-fashioned ghostly creepiness and not CGI. One of the most chilling scenes I’ve seen in a movie is also the simplest, and it’s in the sequel, Grudge 2. It’s when one of the characters thinks she’s alone in the locker room after taking a shower. Cue tense, discordant music. She looks round and her eyes narrow in confusion, then terror…is that someone’s foot she can hidden behind the pillar? Is someone there…? Who knows, because by now I’m not even looking at the screen. a white mask – in this case shaped like a crow’s skull. It doesn’t just disguise your baddie – it dehumanizes them. 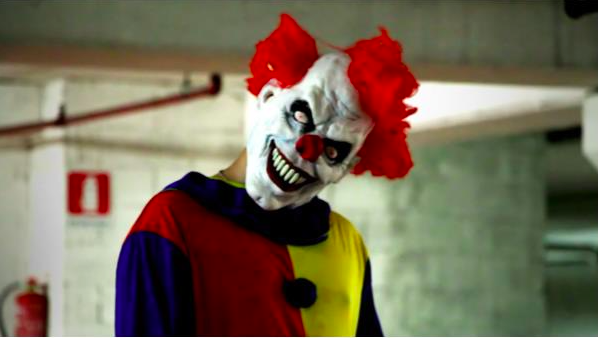 It’s interesting that one of the scariest masks belongs to a figure who should provide fun and laughter – the clown. Schoolchildren across the US are being terrified as I write by a spate of clowns leaping out at them. 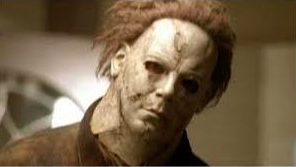 One of the scariest masks for me, though, has to be the one worn by Michael Myers in Halloween. It’s so simple, but completely terrifying, simply because there’s no emotion there…no trace of humanity. 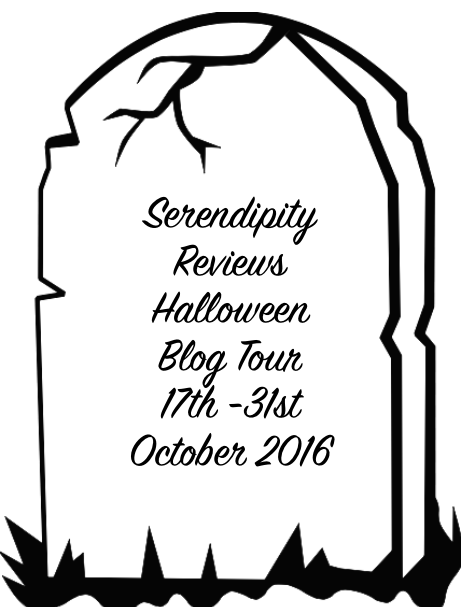 The Demon Undertaker was published in September. olt your doors! Do not dare to sleep! 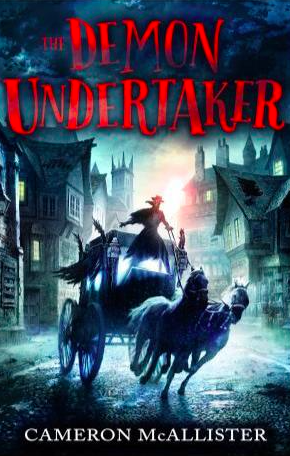 A kidnapper known as ‘The Demon Undertaker’ is on the loose in London! Yesterday he continued his reign of terror in his most chilling crime yet – kidnapping Lady Grace Davenport from under the very noses of her family!